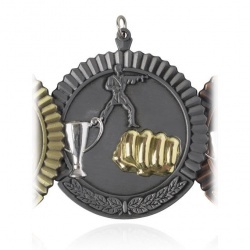 Choice selection of gold, silver and bronze finish medals with martial arts motifs. 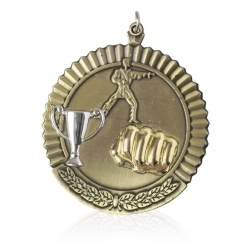 Presentation boxes and/or medal ribbons available. 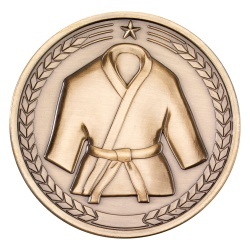 2in dia Martial Arts Medal in Bronze Finish. Optional Sleeve or Case. 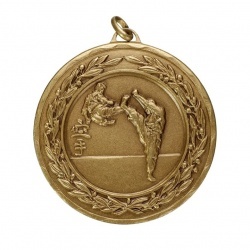 2in dia Martial Arts Medal in Gold Finish. Optional Sleeve or Case. 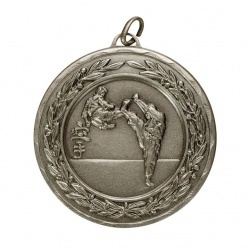 2in dia Martial Arts Medal in Silver Finish. Optional Sleeve or Case. 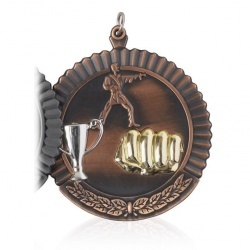 50mm dia bronze martial arts medal with ribbon loop. Optional box. 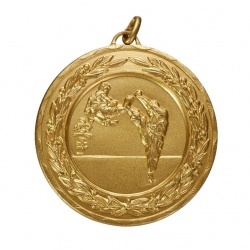 50mm dia gold martial arts medal with ribbon loop. Optional box. 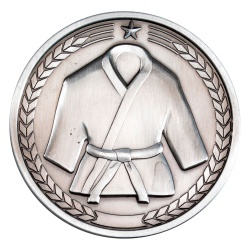 50mm dia silver martial arts medal with ribbon loop. Optional box.